Cafe Aristo - Silver Street is our retail division located on Silver Street, Cambridge, serving our complete range of sandwich products. 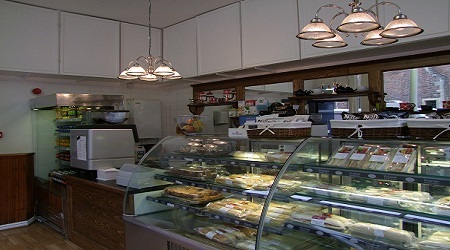 Our menu includes cakes, Sandwiches, fresh Baguette, Hot Panini, Hot Ciabbata, soft rolls etc. Whatever your choice of coffee, espresso, latte, tea and cold drinks, we have got the right drink to tickle your tastebuds. If you require office catering, please use our online order form or contact us by Tel :01223 517617. We look forward to seeing you soon & you're welcome to pop in to arrange collections or deliveries of our made to order sandwich platters for your lunchtime meetings.